BREAKING NEWS: Facebook Messenger has an impending deadline that changes its policy for subscription messaging. The countdown to the change is 5 weeks. That means that Facebook Page admins have 5 weeks to apply and get approved for subscription messaging through Messenger’s review process. 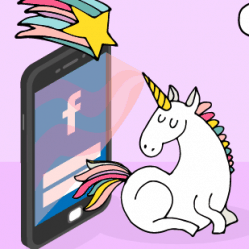 This is your all-in-one checklist for leveraging successful, engagement-driving Facebook Messenger subscription messaging in accordance with Facebook guidelines. We also recommend you review the Subscription Messaging Application Cheat Sheet with sample submissions. 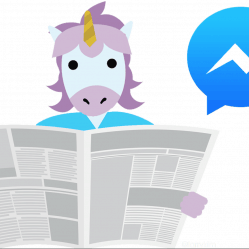 What is subscription messaging for Facebook Messenger? 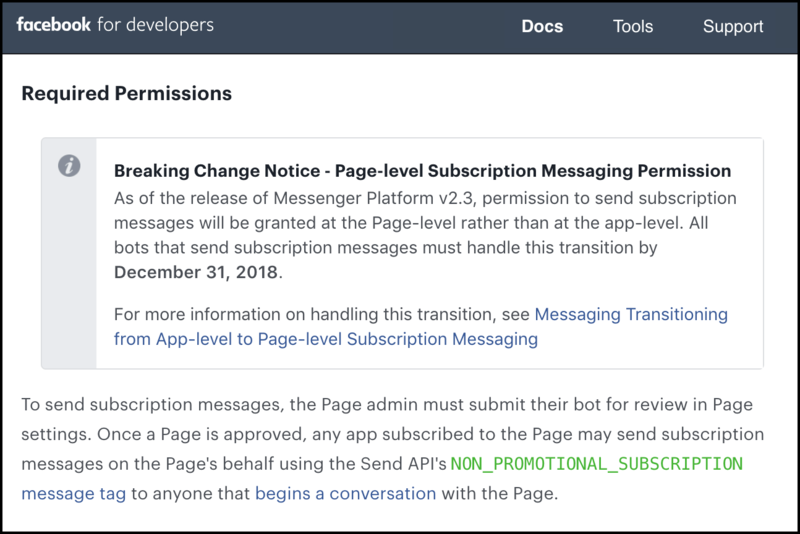 One of three important messaging types in the Facebook Messenger platform guidelines, subscription messaging allows for unlimited non-promotional messages to those who opt in. 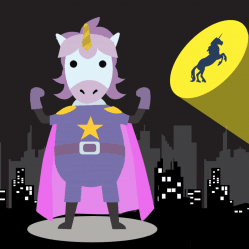 Subscription messaging is powerful stuff for marketing engagement. There’s no other channel that touches Facebook Messenger marketing for open rate and response rate. That’s why MobileMonkey has guides to help Facebook managers get their subscription messaging permissions from Facebook. Of course, once that’s done, what’s the process for sending subscription messages? The first is your checklist for applying for subscription messaging. The second checklist covers you when you’re sending subscription messages, helping you remember the Facebook guidelines for this special messaging category. Do these 10 steps in order. Expect the first nine steps to take 15 minutes. Request subscription messaging in Facebook Page settings. Pick a category from news, productivity or personal tracking. Describe the kind of subscription messages you’ll send in a short answer form. Give 2 or more examples of subscription messages you would send. Take a screenshot of the application so you can share and review it for feedback if needed later. Check the box that acknowledges you won’t use subscription messaging to send advertisements or promotional messages and will follow Facebook community standards. Consider if you want to allow business applications like MobileMonkey to access specific info about your contacts. In order to send scheduled messages by time zone, or create audiences based on language and gender, you need to do these steps. Click the button to submit the subscription messaging application for review. Check back in a week or so. Facebook says to expect 5 business days. You can reapply if your request is not approved. Look for Thursday’s article all about what to do if your request was disapproved. For more detail on each of the steps, check this out: How do I apply for Facebook subscription messaging? 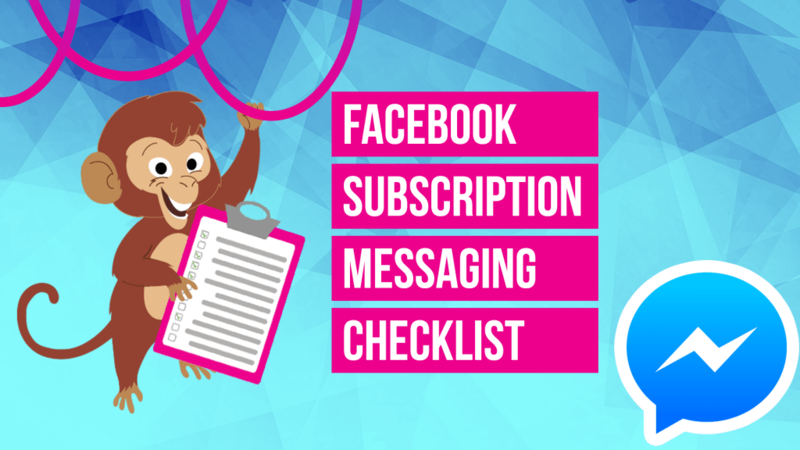 The following is a six-point checklist for sending subscription messages through the Facebook Messenger platform using MobileMonkey’s Messenger automation tools based on the Subscription Messaging Platform Usage Guidelines. Set up a Messenger opt-in page. Create an audience of opt-in subscribers. Review the content to make sure it’s non-promotional. Send the subscription message with the chat blaster, choosing “non-promotional” category. Remember that standard messaging applies if a user responds. More on each point of the checklist below. You won’t have to create a new opt-in page and new audience for every subscription message you send. These steps you need only do once. But creating your opt-in page and opt-in audience are two foundational, required steps in the process of sending subscription messaging. Use the chatbot builder to create the Messenger subscription opt-in page. Use the Quick Question widget on the page to ask if they want to subscribe. Create follow-up pages for the “yes” and “no” responses. Create a link to the Facebook Messenger opt-in page you can share. Create a new audience of people who respond “yes” to opt-in. Read How to Create a Facebook Messenger Subscription Opt-in Page. See MobileMonkey’s opt-in page and sign up for occasional Messenger news. If you find that the message contains words that suggest content is promotional — or aimed at selling something — reconsider if this chat message should be sent as a subscription message. Remember that when you applied for subscription messaging, you indicated the use case as either news, productivity or personal tracking. Most Facebook Pages will be applying and receive permissions as a news resource. Review the chat blast content for its news appeal such as timeliness and impact to your audience. Choose the audience of subscribers you created in point 2. Then send the blast immediately or schedule it for a certain time or your recipient’s time. Read How to Chat Blast Your Facebook Messenger Contacts for the full tutorial. This is key! Facebook’s standard messaging rules say that Facebook Pages have a 24-hour window to send messaging to contacts who have engaged. During that 24-hour window, promotional content is allowed. So if a contact interacts with your Messenger bot, such as taps a button or sends a message back, then the window opens for sending promotional messages. Use this rule strategically. Invite engagement in your subscription messages so you have opportunities for sending any type of message as a follow-up. Do you have questions about subscription messaging — either the application process or the process of sending subscription messages? Leave a comment and let us know how we can help clear any questions up. 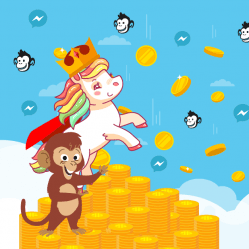 Get MobileMonkey, Facebook Messenger marketing platform and chatbot builder, for FREE. 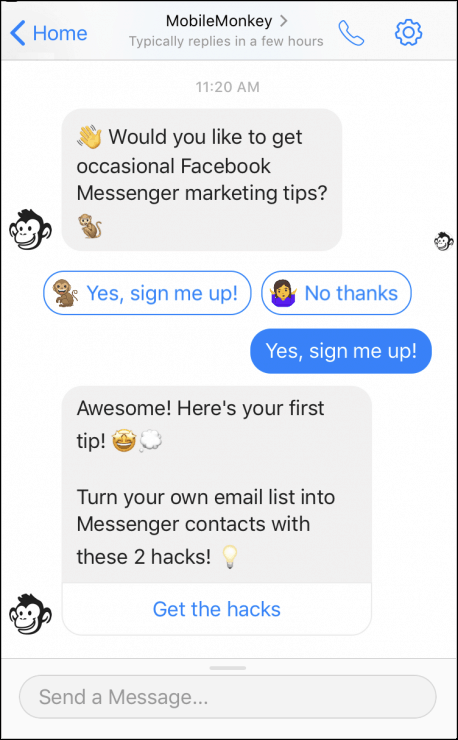 Sign up for occasional chatbot marketing and Facebook Messenger news updates via Facebook Messenger. Download the Facebook Messenger Subscription Messaging Cheat Sheet and get ready to apply for subscription messaging before the Dec. 31, 2018, deadline.